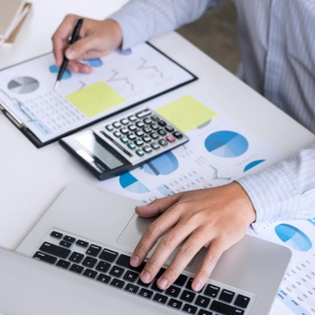 Throughout my 20-plus years of business experience, I’ve seen many successful companies grow by using tried and true strategies, such as managing cash flow, keeping credit scores strong and obtaining low-cost, outside funding. Another characteristic they share? Each had a solid, multiyear plan. But a 2018 survey found that 63% of small business owners only plan roughly a year in advance. It can be tough for a multitasking business owner to step away from day-to-day tasks and focus on the future. However, I believe taking the time to formulate a strategic plan is one of the best ways to reach short- and long-term goals. “Strategic planning” might sound daunting, but the process doesn’t have to be complex. Once you’ve developed your three- to five-year plan, you can develop a short-term annual plan that folds right into your long-term goal. To get going, start with the big picture. Write down the ideal future you see for your business, and make sure it’s related to your mission. Then use the “SMART” method to craft specific goals. SMART is a relatively common set of criteria I’ve observed many people use when establishing a goal. It means your goal should be specific, measurable, attainable, relevant and time-bound. Let’s look at our bakery example. For Holly to achieve her long-term goals, her key strategies would likely include hiring and training top pastry chefs, building a strong, recognizable brand in her area, developing a vertical supply chain to secure the best ingredients and securing financing to purchase quality equipment. After you’ve identified these key strategies, create a specific annual plan for these strategies. For instance, regarding hiring and training pastry chefs, Holly might consider participating in recruiting events or visiting a culinary school for graduates. A strategy to help you get specific is to look at the end goal and work backward. By reviewing her financial plan, Holly should have a good idea of when she needs a trained a pastry chef ready to bake in her kitchen. Identify the costs and time associated with hiring and training, and put steps in place to meet that deadline. In Holly’s case, after measuring the effectiveness of direct mail marketing, she found it wasn’t as cost-effective as she thought. So, it’s time for her to consider making a change to her marketing tactics.